What makes The Taylor-Leis Group different? Why choose us? What sets us apart from other REALTORS®? Our backgrounds! Our team is made up of individuals, who not only serve the California Riviera, but who have lived along the California Riviera for over 20 years. We have our finger on the pulse of the coastal communities and the Orange County housing market. We have volunteered for Habitat For Humanity, Homes for Heroes, and Suzanne served as a consultant for Neighborhood Housing Services, (NHS), in Las Vegas, Nevada. 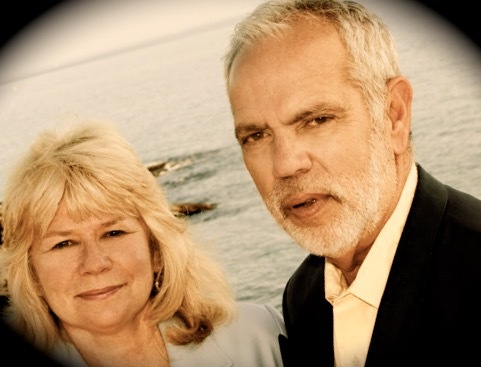 Robert and Suzanne have managed a boutique hotel in Laguna Beach. Suzanne served as a past National President of NAWBO, (The National Association of Women Business Owners). We have been small business owners and have served the developmentally disabled, providing both housing and crisis management services. Robert has extensive experience in computer consulting and technology. He brings strong analytical skills to the team. Robert has an MBA in Finance. If you notice a theme here, a theme of commitment to our communities, then you’re right! Our varied backgrounds in community service and entrepeneurial enterprises has brought us together. We are a multi-language (Spanish, English and we have access within our network of office resources with Chinese and Farsi language skills. We are a team of professionals, who want to make your experience with us an enjoyable one. Whether you are buying a property or selling your home, we encourage you to take your time and enjoy the process. Our motto is, we will work hard, so you don't have to. No matter how many houses you need to see, before you find that perfect home, we will gladly take you out to see them. We are patient, knowledgeable, and we love what we do. We know what properties are on the market, sometimes before it even shows up on the MLS. We preview vast numbers of homes every week, so you don’t have to take your time, looking at something that’s not what you have in mind. If you are selling your home, we provide you with a CMA, Comparative Market Analysis, to make sure your home is priced to sell. By previewing the homes on the market weekly, we know what is selling and what homes will be your competition. We set up a marketing program geared to get your home the greatest visibility locally, nationally and worldwide. We design a video tour of your home for the greatest exposure to potential buyers searching the internet for homes. Suzanne Taylor is currently the 2015 Past President of the Laguna Beach Board of REALTORS®, and was named REALTOR® of the Year in 2012 by the association membership. Our office is located directly across from the Montage Resort in Laguna Beach, CA. BERKSHIRE HATHAWAY HomeServices California Properties resources, include affiliates, who can provide you with Escrow, Lending, Title, Home Warranty and Insurance Services. Our website features: Laguna Beach, Dana Point, San Clemente, Corona Del Mar, and Newport Beach information. You can access BERKSHIRE HATHAWAY HomeServices California Properties, Orange County open houses, which are updated weekly. We provide the Altos Research weekly summary of Local Market Reports, featuring statistics for each of the coastal areas. We love what we do, and we’d like to turn your dream into reality.